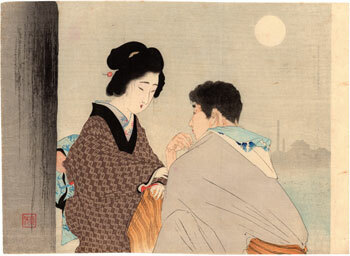 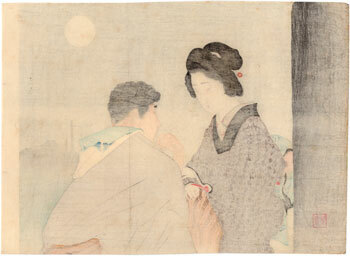 Beautiful kuchi-e (口絵) woodblock print depicting a couple of lovers talking on a pier in the moonlight. 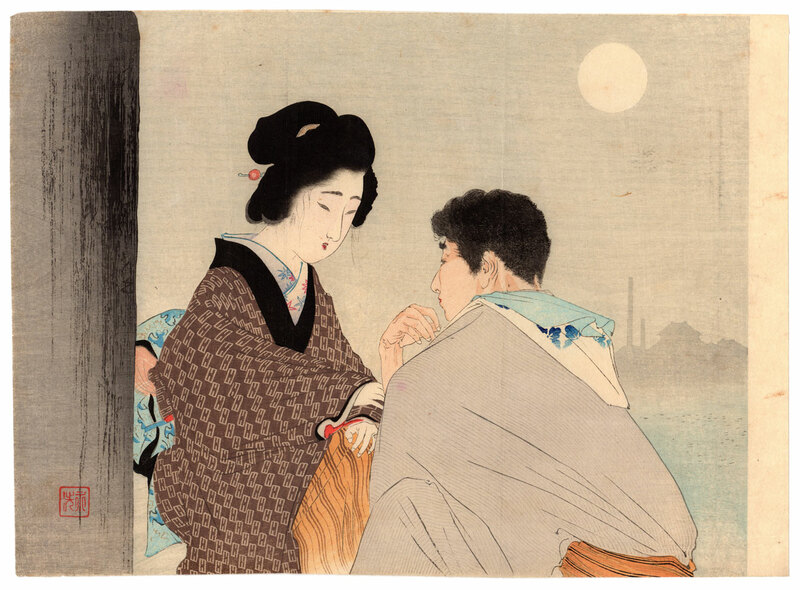 The work is taken from the famous literary magazine Bungei Kurabu (文芸倶楽部) and was made in 1897 by the artist Tomioka Eisen (富岡永洗) as an illustration of the novel "Two Beautiful Stories" (雙々綺話). 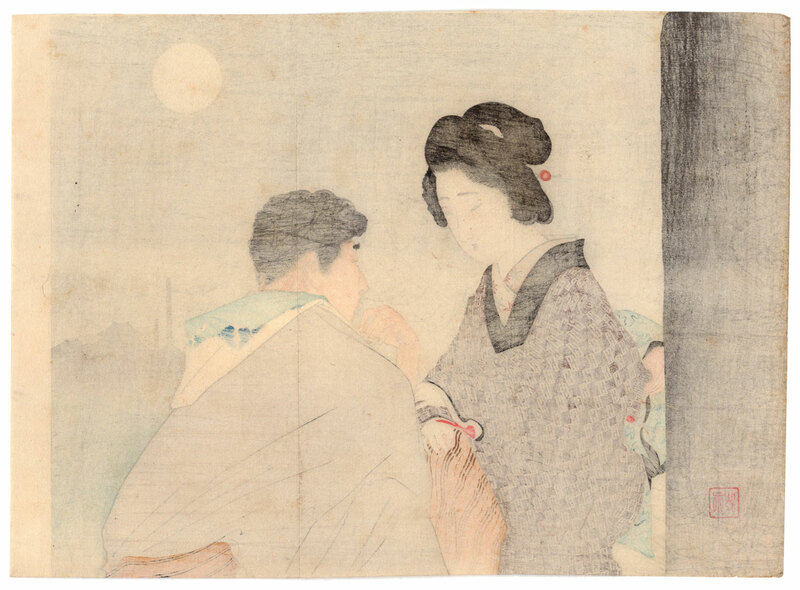 The print on Japanese washi paper (和紙), produced by the Hakubunkan (博文館) publishing house, is in very good general condition.